A few thoughts from a (future) scientist about life, the world and the universe. In 2009, a mission was launched that according to NASA could discover thousands of planets around other stars and revolutionise our place in the universe. That spacecraft was Kepler, and for nearly 4 years it has stared constantly at the same tiny patch of the Milky Way looking for the characteristic dips of light as exoplanets wander across their parent stars. But now, with a mechanical error threatening the entire mission, questions are being asked if the $600million mission really was such a revelation. 9857. That’s the number of stars Kepler has seen glitter with the tell-tale sign of nearly 16000 exoplanets. It is remarkable then that 99.2% of these remain unconfirmed, with only 120 being recognised by the astronomical community as planets. It’s not just because NASA is swamped with data: to be confirmed every planet discovery must be analysed by a different method. This usually involves ‘weighing’ the planet using the motion of the star to determine how strong the gravitational attraction of the planet is. More intriguingly, follow-up observations can even reveal the atmospheres of such exoplanets, paving the way for the search for alien life. Here comes the downside; finding a planet’s mass or studying its atmosphere is only possible when it circles a bright star. Kepler, on the other hand, has been searching for small planets around dim and distant stars. It has, effectively, spent 4 years and hundreds of millions of dollars looking for planets that will forever remain unconfirmed and uncharacterised. This is especially pertinent when compared with the much cheaper ground-based surveys that have found more confirmed planets around bright stars. While it is certainly a disappointment that these planets may never be seen again, can’t NASA just assume their haul of ‘planetary candidates’ are all real? According to a recent study, the answer is no. 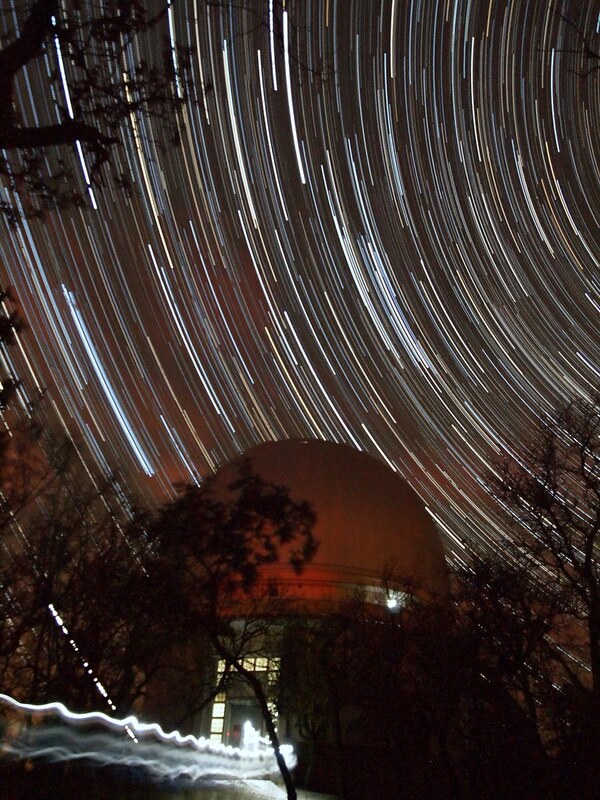 Astronomers at the Observatoire de Haute Provence went hunting for Kepler’s planets. They found that more than a third of these so-called planets were anomalies produced by a second star. Without knowing how many planets are phantoms, even the recent predictions of a 100 billion planets in the galaxy may be stabs in the dark. But, despite a few negatives and some overly optimistic goals of the NASA team, Kepler has been successful. The majority of its planets will turn out to be real, including a handful of Earth-like worlds that could support life (even if we never get a closer look). And if the ‘bias’ in Kepler’s results can be figured out, it could provide us with fascinating statistics showing just how common solar systems like our own might be. That makes it an even greater shame that the spacecraft is wounded. To keep Kepler staring at the same patch of sky, it makes use of 3 ‘reaction wheels’. But after the failure of one of these stabilisers last July, the discovery of wear and tear on a second wheel in January 2013 could prove fatal. For those working on Kepler, the next few weeks will be anxious as they try to fix the problem from the ground, and, despite its shortcoming, I hope they manage it. NASA's space probe Cassini is still in orbit around Saturn, and boy does this image take the biscuit. That diffuse light on the dark side of Saturn is 'ringshine' as sunlight scatters from the icy disc. You can even see the rings in shadow on the very ringshine they've created. There's the illuminated zone around the planet where Saturn's thick atmosphere has bent the rays of light from our sun around the planet into Cassini's eyes. The first bright dot to the bottom left of Saturn is Enceladus. Not only can you see this tiny world circling Saturn, you can also see it spewing out icy organic material into the solar system. And that pale blue smear around the bottom? That's the E-ring fed by Enceladus's cryovolcanism. The big disk on the bottom left is another of Saturns wonderful moons. I hoped it was Titan, the hazy Earth-like moon with a thick atmosphere, methane weather and strange organic chemistry. Unfortunately its the rather less dynamic Tethys, but it still adds to an extraordinary image. The smaller dot, just to the right of Enceladus, is probably a planet. From the planets today, its got to be either Jupiter or Earth. Being this far from the Sun means Earth is hidden behind Saturn itself on this occasion, although a previous image from 2006 showed our planet as a Pale Blue Dot once more. In summary, the universe is unbelievably beautiful, and the more we understand about it, the more beautiful it gets. The last couple of weeks have seen exciting developments in exoplanet astronomy. After 3 years of observations, astronomers at the European Southern Observatory discovered a planet orbiting the closest star system to our own Sun. Detecting this Earth-mass planet required measuring the velocity changes of Alpha Centauri B to a remarkable accuracy of 51cm/s (or 1.1mph). Not only was this the closest exoplanet yet found, it was also one of the smallest, with a minimum mass only 1.3 times that of Earth. However, this rocky world orbits so close to its star that day-side surface temperatures are likely to be around 1500K. 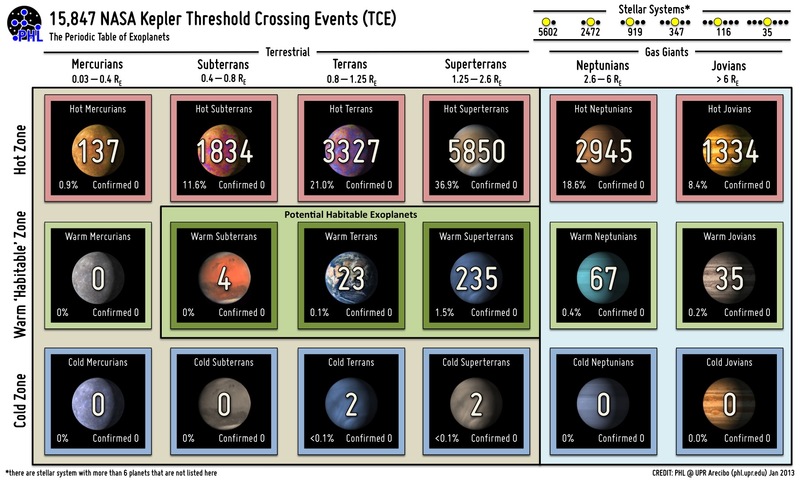 Not exactly a habitable world, but it shows that exoplanet astronomy is progressing towards finding Earth-like worlds. Another planetary discovery, announced on Thursday, appears to be a much better candidate for life. This planetary system, around 32 light years away, contains six planets orbiting the dim star HD40307. One of these planets, a super-Earth orbiting at 0.6AU, has a surface temperature of between -17° and 52°C. Although more than 7 times the mass of Earth, such a planet may have the potential to support life. These discoveries have generated lots of talk about interplanetary exploration, especially along the lines of 'Lets drop everything and send humans and spaceships to these planetary systems!'. However, the gulf of space is unimaginably huge. Even with the fastest spacecraft ever built by humans, Voyager 1, it would take 70,000 years to get to Alpha Centauri B. If the distance between Earth and the Sun were scaled to fit in the palm of your hand, the nearest star would be 13 kilometres away! So what would humanity need to actually get there? Here is, entirely in my own view as a student of exoplanets, what we need to do to send a space-probe to another planet. Find them all. With space missions like Gaia and ground-based scans like HARVPS & MEarth we could probably find all the earth-like planets around local stars by 2030. Get a closer look. If the planet passes between us and its star (transits) we can get a glimpse at its atmosphere using something like JWST or EChO. Non-transiting exoplanets like this one are a little tougher, but projects such as TPF and Darwin will be able to image them and check their atmospheres for oxygen & water. Timeframe: by 2040. Global Cooperation. Unless one country wants to be shackled with the most expensive mission ever, we're gonna need everyone involved. Timeframe: never?. So there's lots to do, and everyone can get involved! I'm going to concentrate on 1 & 2 for now by writing some code for my project on the Exoplanet Characterisation Observatory (EChO), but probably the best way to help our species get to another planet is to support science! Only if scientific agencies like NASA and ESA are widely supported by the public and adequately funded will such a project ever get off the ground. I Declare The Martian Olympics Open! Welcome to the Mars Olympics! Mars has hosted three operating rovers so far, with Curiosity hoping to be a fourth. Russian missions Mars-4 and Mars-5 also brought rovers to Mars, but these failed to function. This little scamp hitched its ride to Mars aboard the stationary Pathfinder mission in 1997. Its six wheels set the standard for future rovers, but how will it fair with a frankly diminutive size of only 65cm long? These sister rovers have roamed the Martian surface since their January 2004 landing. These rovers have a similar design to Sojourner with solar panels and 6 wheels, but will their size advantage (1.6m long and 1.5m high) help push them into the lead? The newest and most expensive of the bunch, Curiosity is the heavyweight contender. At 3m long, it towers the previous rovers. But will its bulk slow it down? The best humans can jump over 2.4m, but how do our Mars missions compare? So it's a tie! All four rovers have taken the leap across the emptiness of space to Mars. No human, rocket propelled or otherwise, has made it even nearly as far. 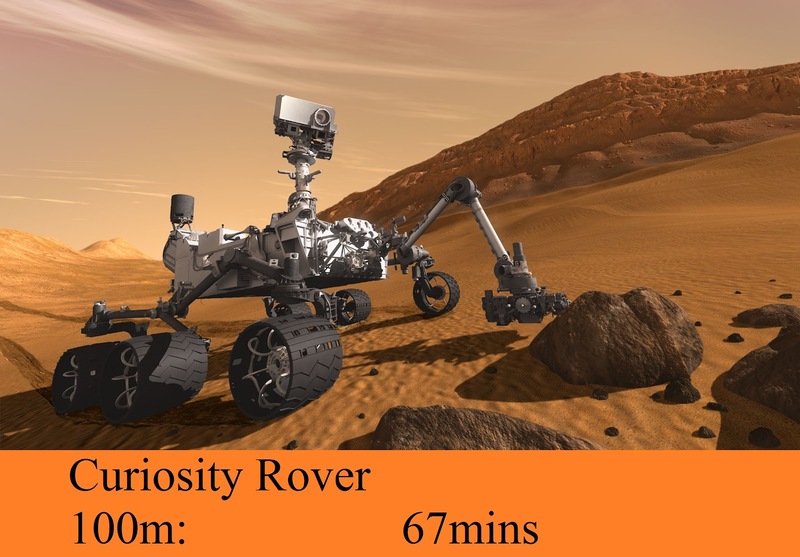 So the winner is the Mars Exploration Rovers Spirit and Opportunity, with a top speed of 5cm/s! The 900kg weight of Curiosity means that it will only reach 2.5cm/s. And little Sojourner comes in nearly 2 hours down on the others, poor thing! Not an official Olympic sport, I'll grant you that, but for robots on the surface of Mars this is the most important event - how far can each rover go before keeling over into the red dust? 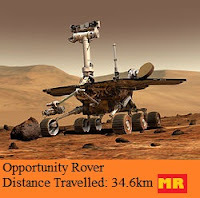 Spirit and Opportunity are the marathon runners of the Mars Rovers. 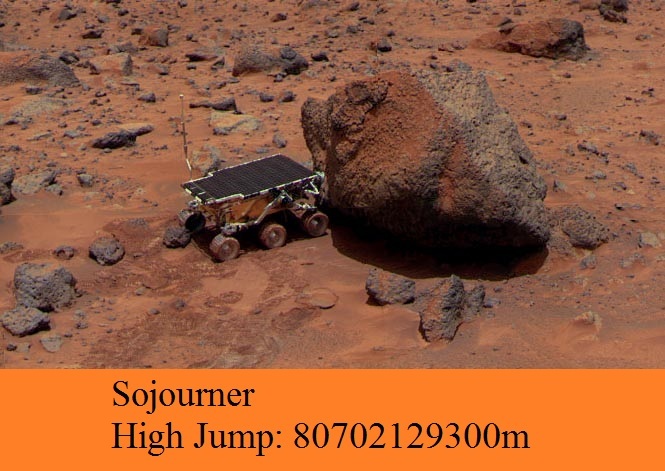 Where Sojourner managed only 100m, the MER missions have notched up an impressive combined total of over 40km. However, with Spirit now stuck in a sand trap, that leaves Opportunity to streak ahead into first place with a Martian Record distance of 34.6km. But with a 2-year-plus running time planned for Curiosity, and a 5.5km mountain to climb, this record could soon be challenged. Exciting times ahead! I'm sure you will join me in saying good luck to Team Earth on Monday morning as our newest, and most advanced competitor will land on Mars and go for gold. And we will be there, palms sweating, pulse racing and eyes wide, to watch what could either be the beginning or the end of an amazing journey. Surviving Glaciations: Ice or a Slice of Luck? Ice is a fantastically strange thing. As this BBC documentary on the stuff explains, it is one of the only materials known which floats on it's liquid form. This unusual property allows water to exist beneath frozen regions such as polar oceans and garden ponds, insulated from the cold above. But here's a thought: could all life on Earth owe its existence to these beautiful hexagonal crystals? Earth's history is dotted with planet-wide cold periods, most notably at 650 million years ago when huge glaciers on land and ocean extended as far south as the equator. Despite the severity of these 'Snowball Earth' events, life survived. The microscopic organisms that existed could have lived either in cold regions beneath the ice, in warm 'oases' or in equatorial regions where thinner ice and widespread cracks might have let light through allowing photosynthesis. But imagine turning this world upside down and living on a planet where ice sinks into the depths rather than floating to the water's surface. My question is this: could life have coped? Although it might appear that a thin layer of surface ice helps preserve life, many other effects come into play. For example, the Ice-albedo feedback means ice that forms on the surface of a cooling ocean causes more light and heat to be reflected from the planets surface, leading to ever colder temperatures. The development of sea ice also separates the ocean from the atmosphere. This can shut down climate cycles such as the temperature-regulating carbon silicate cycle on the long term, and can also lead to the dangerous decline in the oxygen and nitrogen levels of the water beneath. If newly formed ice was to sink, these problems could be avoided. However this bottom-to-top freezing means no warm waters are insulated beneath. What's more, a glaciation event could lead to the solidification of an entire ocean - not exactly a good thing for oceanic life. The build up of thick, ocean-floor ice sheets might also do untold damage to the deposition of carbonates and the subduction of tectonic plates, both of which are involved in long-term climate stability. Many lines of evidence also point to an origin of life at sea-floor vents, a scenario that may have been impossible without floating ice to insulate the depths. All in all, we probably are lucky that ice floats rather than sinks - but has such an effect been pivotal in the development of us? Like all material properties, the low density of ice can be explained in terms of the chemistry of it's atoms. Water molecules are strongly polar, with two mildly positive hydrogen atoms and one mildly negative oxygen atom. These charges cause two 'hydrogen bonds' to form between adjacent water molecules, and the angle of the hydrogen atoms from each other (104.5 degrees) leads to a regular hexagonal arrangement between water molecules. This bonding results in the classic 6-sided snowflakes, as well as a density slightly lower than in unordered liquid water. As I have written about before, recent ideas in cosmology suggest fundamental properties of the universe may vary with location, and we exist in a region best suited to the development of intelligent life. For example, varying the fine structure constant (alpha) by only 4% could mean the life-giving element Carbon is not produced in stars. But could the laws of physics our region of the universe also be due to the properties of ice, or is the peculiar nature of H2O merely a by-product of physics? 90° and hexagonal symmetry is lost. Luckily Rollin A King (what a name!) 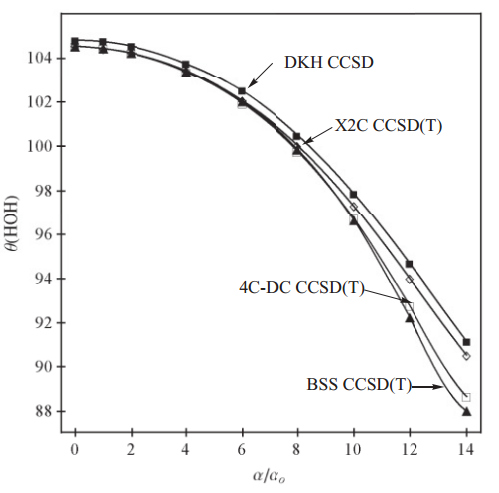 et al have done the hard work by performing theoretical quantum chemistry for a variety of electron charges and proton masses. They found that a fine structure constant (electron charge) more than 14 times the natural value caused the hydrogen atoms on a water molecule to move closer together. This destroys the unique hexagonal structure of water, and raises the density of ice above that of water. Although this may seem to show that physical conditions are fine tuned to allow ice to float, it must be considered that this change is much less sensitive than much more important properties. 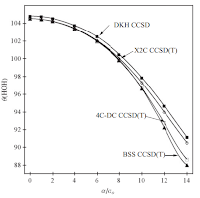 For example, this is 280 times higher than the change needed to stop carbon production in stars, and half the change in alpha required to end nuclear fusion entirely. This leads to the conclusion that, while the density of ice may or may not be important for the development of life on Earth, the peculiar behaviour of freezing water has no great cosmological significance. This post was the result of a single idea, so although it produced a negative result (ie, the universe doesn't care about if ice sinks or floats) I wasn't going to spend so much time (3 hours) thinking about and researching this and not write it up! After a busy day at work, you emerge from the office into a fading March evening of 2029. Taking the usual route home, you check your phone for the first time in hours and discover 12 new messages. The first one simply says “Have you heard?!”. Your heart rate quickens. What could this exciting news be? Fumbling for the next message you quickly skim the text… In a state of shock, the phone drops from your hand. This is the moment you, like the rest of humanity, learn of the most important scientific discovery in centuries: that life exists elsewhere in the universe. Although this vision of the future may seem speculative, the technology to detect life on planets around other stars already exists. All that is lacking is the enthusiasm of the general public and the financial backing of the world’s governments. The 20th century was a truly optimistic time for those looking for life elsewhere in the universe. The early part of the century saw huge public intrigue over possible canals on Mars. However, by the time the Viking probes arrived in the 1960s, Mars was known to be a cold and desolate place. More recent rovers have confirmed that if Mars was ever habitable, it has not been so for billions of years. Missions to Jupiter and Saturn have also captivated public attention, with moons such as Europa and Titan being hyped to as possible havens for life. While the presence or lack of alien life in the solar system has not been settled, no environment has been found as comfortable for life as Earth’s surface. However, in 1995 astronomers discovered the first solar system outside of our own. While this first ‘extra-solar’ planet was far from supportive to life, it marked the beginning of a new age of discovery for science. To date more than 750 exoplanets have been confirmed, and NASA spacecraft Kepler has found more than 2321 candidates including numerous Earth-sized planets. The Gaia mission, launching next year, could also potentially discover tens of thousands more. This revolution is space sciences mean there are now thousands more places to look for life in the universe, and missions have already been proposed to do just that. The Darwin mission, with 6 space telescopes. Since the early 00s both NASA in America and ESA in Europe hatched similar plans to fly an array of planet-hunting space telescopes high above the Earth. NASA’s Terrestrial Planet Finder, or TPF-I, and ESA’s Darwin mission comprised of between three and six 1.5m telescopes collecting infra-red light from a target star system. The telescopes would fly in a precise formation, allowing the light detected from each dish to be digitally combined. Not only does this processing give an effective telescope diameter of 100m, it also enables the light from the parent star in this system to be removed. This is called interferometry and is frequently used on ground-based telescopes including the Very Large Telescope array in Chile. Unlike in Chile, however, the distorting effects of Earth’s atmosphere are removed, and this array of space telescopes would be able to directly observe and characterise Earth-like planets. The spectra of Mars, Earth and Venus. By measuring the light coming from such a planet across a variety of wavelengths, the TPF-I or Darwin missions could take spectra of any Earth-like planet discovered. These infra-red spectra could probe their atmosphere, and can tell if such a planet is inhabited. Life as we know it produces a distinctively imbalanced atmosphere. On Earth large amounts of oxygen coexist with methane, ozone, carbon dioxide and water; a mix that without life’s unique processes could not exist for long. “I would be 99% sure that life was present if I saw this combination of planetary characteristics” says Professor James Kasting, writer of the book How to Find a Habitable Planet. These missions were capable of putting to rest one of the biggest questions ever asked by a conscious mind: ‘Are we alone in the universe?’ Geoffrey Marcy, exoplanet pioneer, said “I think TPF is our Human Genome Project”. What happened to TPF and Darwin, I hear you ask. In 2007 Darwin were indefinitely shelved, and in 2011 Terrestrial Planet Finder was cancelled completely. In total both projects wasted more than 10 years planning and many millions of dollars of funding with no end result. One of the main factors blocking the development of such an Earth-finding mission is cost. Such a project could plausibly run to tens of billions of pounds. While this figure dwarves the biggest science experiment ever made, the Large Hadron Collider at CERN (a mere $9bn), it pales in comparison to other projects, such as war in Afghanistan ($120bn a year) and global tax evasion ($3100bn!). Just like the LHC, this cost could be spread between European states and the US, and even new space-faring nations such as India and China. For a project that might answer fundamental questions about our universe and captivate people across the planet, a few billion pounds really doesn’t seem that much to ask. James Kasting believes that, without the interference of politics, such a concept could be designed, built and flown into space within 15 years. And the only way to get such plans onto the table is to tell the politicians and policy-makers of the world that this matters to us. This groundswell of public interest in exoplanets & astrobiology could mean that on one evening in 2029 you discover that our Earthly biology has done the unthinkable; discovered life on another world. Could Exploration be our Salvation? Carl Sagan, the american astronomer, famously said that if the dinosaurs had a space program they would never have gone extinct. As perilous as space missions are, it makes sense in the long term to try not to have all our eggs on one planet. Although this is purely speculation, we must take note from these observations. Could we be living in a unique era of human history? An era when resources have not been exhausted. An era when countries, democracy and social mobility are still being created. An era when the population of this planet is booming, and there is still enough space, water and food to go around. If civilisations are like economics, society as we know it could begin to crack as growth stalls. And even if it this unlikely doomsday scenario is just the slimmest of possibilities, surely we should try our best to avoid it? 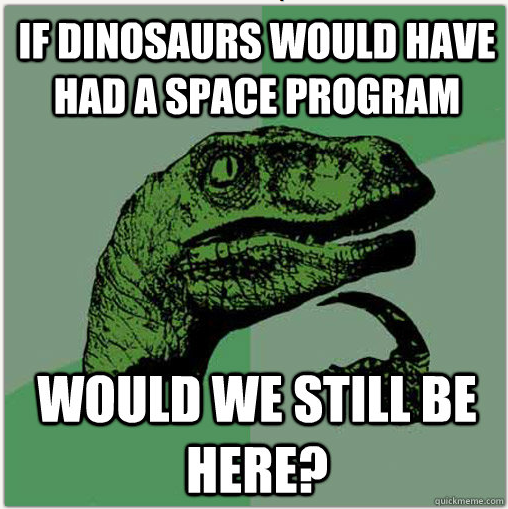 And one of the best ways is with human space exploration. Not only would spreading our precious civilisation across the solar system help safeguard our species from random extinction events, it would also continue to grow our population. Resources may even be discovered, making these planetary excursions profitable. But steady investment in space programs is exactly what is not happening. Russia, for example, spends 80% less on space than 20 years ago. Since the retirement of the Shuttle, the US has no operating spacecraft capable of taking humans even to orbit, let alone beyond Earth. And no country has dedicated plans to push to new frontiers of Mars and beyond for the foreseeable future. 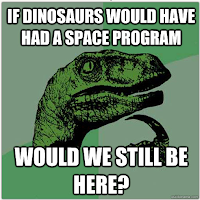 So without funding and inspiration, is human space flight and possibly humanity itself doomed? Possibly not: Some hope comes from history. In 1911 Amundsen and Scott made bold, perilous missions into the unexplored. Following that race for the South Pole, exploration in Antarctica all but stopped. For 50 years, it lay barren and untouched as the rest of the world slowly progressed. And then, in the 1950s and 60s people returned. And they didn't do so at huge cost on wooden ships and dog-sleds. They jumped in newly-build planes and flew taking entire houses, research stations, vehicles and scientific equipment with them. We can only hope that the current lull in space exploration is just a pause waiting for technology to catch up. And if that is the case then maybe we, unlike the dinosaurs, can survive into a distant future. Future Scientist. Cycling enthusiast. Based in London at UCL.